Me and Rowjie were never the sweet type. He doesn’t give me chocolates and flowers and I do not write him love letters. Our marriage was a mutual agreement and needed no proposal and engagement. So when our friend Boom informed us of his intentions to propose to his long-time girlfriend, Joie, we got stoked. Marriage proposal in Boracay? It’s the shiznit! He said he just wanted to plainly do it while they are parasailing in Boracay. 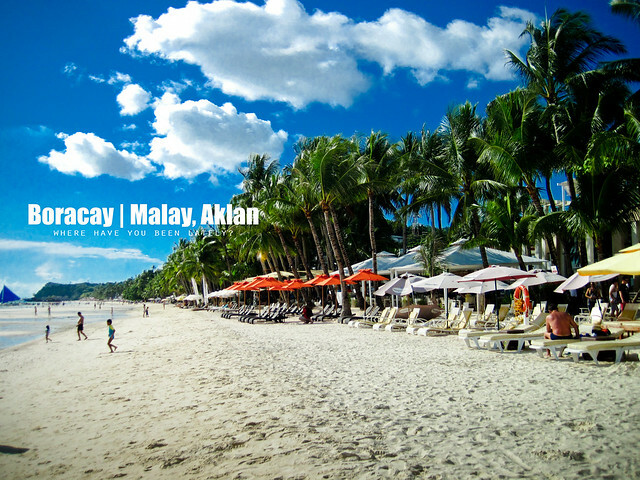 Then off we went to Boracay! Why hello there, Boracay. ‘Twas nice seeing you again. There were no concrete plans. 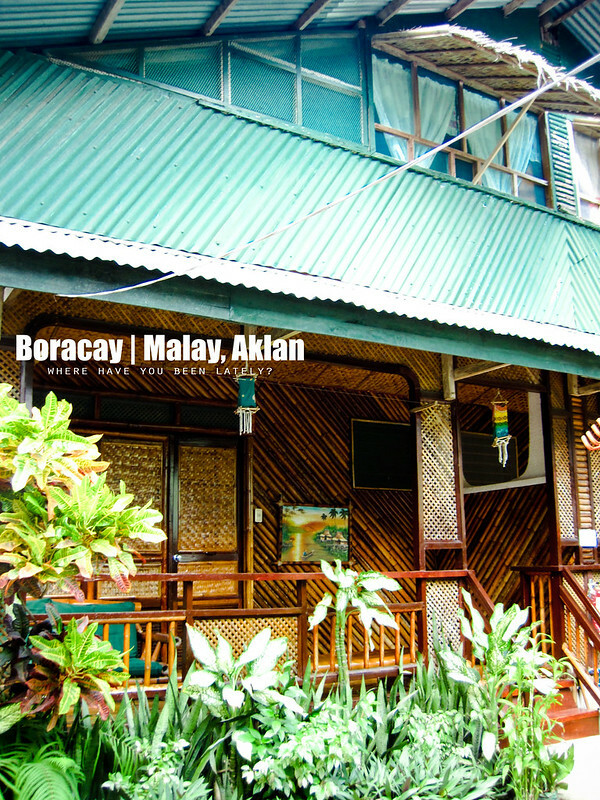 We made Joie believe that the Boracay trip was a celebration of their fifth year anniversary. Everything was immediate. Our one goal was to get Joie to say yes to Boom, for them to be officially engaged and soon to be married. Originally, there were ten of us. Due to personal reasons, three backed out weeks before the scheduled trip: Mela, Prince, and Keith. Then Erwin’s mum became ill and needed his presence and personal care. We almost became Maskman (three boy-two girl group) when our sixth member, Gian, got left by the plane. Reason? I’ll discuss it later on. It was a Thursday and our flight was delayed for an hour. Boom, Joie, Bryan, Rowjie, and I arrived in Caticlan all drowsy and sleepless due to last night’s shift. Traveling the presumably 5-minute-distance-turned-to-an-hour between Caticlan and Boracay Island seemed like an eternity when we rode the so-called “fast craft ferry” instead of the pump boat. It has been six years since the last time I set foot in the powdery sand of Boracay and have long forgotten to ride a pump boat since it is faster. It was almost dusk when we reached our resort, Frendz, in Station 1 of the White Beach. 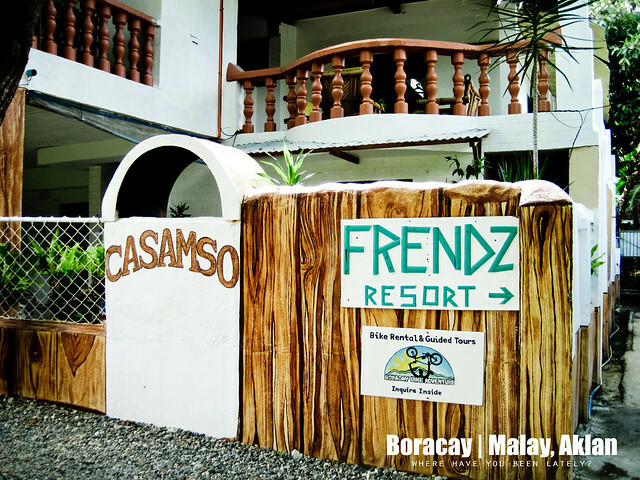 Frendz Resort has a sister lodge called Casamso where we stayed. We were lead to a two-storey cottage by the resort staff. It has a queen-sized bed and big bathroom in the first floor and has four single beds upstairs. There was a veranda where we could share our stories at the end of the day. It was roomy. The only problem was there’s no air conditioning. At that time, aircon is very vital to us because the summer heat was extremely unforgivable. We asked to be transferred to a smaller room but with aircon. I failed to take photos of the room as we were all tired and just wanted to have a good dinner and sleep after. This is the cool two-storey cottage. After dropping off our bags, we headed off to the beach, which was a barely two-minute walk from the resort, to have our dinner. Bryan, who’s most familiar with Boracay, brought us to this restaurant called Smoke. They only cook food upon order to guarantee its freshness so we needed to wait. Waiting was like being inside a sauna spa, no kidding. It was really humid inside the resto even if you’re wearing just a bikini top. Nevertheless, their food was very good especially the Sizzling Bulalo. The group couldn’t think of what to do next after consuming our sumptuous dinner. Gian, who paid a painful amount of Php 2700 to rebook a flight, just boarded his plane bound for Kalibo and wouldn’t be with us in the next few hours. Bryan wanted to search for Ellen Adarna who was also in the island the time we arrived. I wanted to drink beer, Joie was mumbling for chori (chorizo) burger. 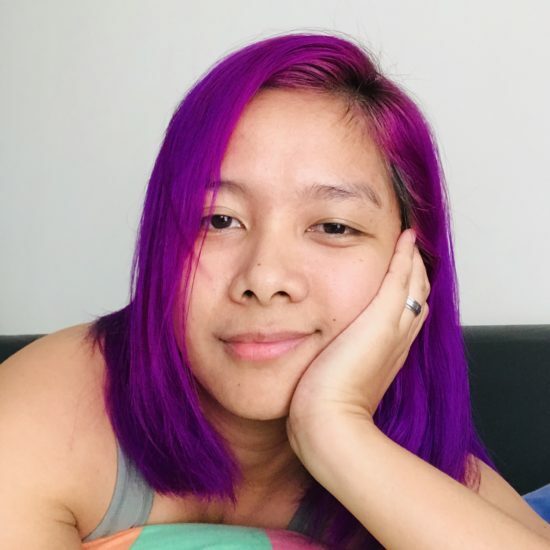 Rowjie and Boom, I didn’t know. We ended up rummaging a grocery store in D’ Talipapa for beer, rum, toiletries, and whatevs. Joie still had no idea why we were in Boracay.